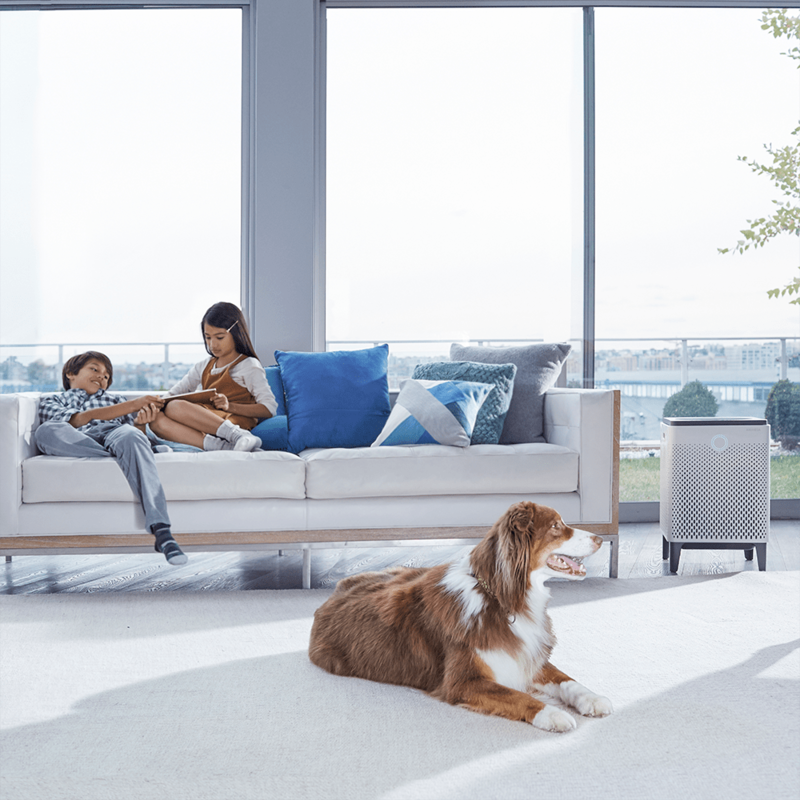 The new Coway Airmega 300 Smart air purifier is a perfect device to find relief from allergy or asthma symptoms. Airmega 300 comes with a dual stage filtration system which helps in removing nearly all harmful particles in the air surrounding you as well as to remove any odors from a fresh environment. The sophisticated onboard real time monitoring helps to ensure the current activity of indoor air. Automatic operation, 4 fan speeds, and durable construction makes this an optimal choice for cleaning large spaces. Easily transportable, simply plug the unit into any standard residential outlet and begin providing 340 cubic feet per minute (CFM) of airflow to spaces up to 1,256 square feet. Unlike its competitors the Airmega is smaller and lightweight air purifier for your home. It not only performs exceptionally well but doesn't take too much space by disturbing your current environment. Its quite unique when it comes to make sure if it’s really working, the Airmega 300 Smart Air Purifier provides you with instant feedback. Located on the front of the unit, the Air Quality Indicator constantly monitors indoor air pollution and gives you real-time information regarding its findings. Those findings are conveyed to you directly on the indicator in 1 of 4 easy-to-understand colors. With included Smart Mode operation, the Airmega 300 automatically adjusts its settings to fit your lifestyle and needs. Selecting Smart on the touch control panel provides users with the ultimate in worry-free air cleaning. Automatic Fan: Constantly monitoring your indoor, this smart air purifier will automatically adjust to 1 of 4 fan speeds that is best suited for current conditions. Eco Mode: The fan will automatically turn off if air qualities have remained at the good level for 10 minutes or more. Should air quality begin to decrease, the fan will automatically restart. Manual Sleep Mode: Selecting Sleep Mode on the control panel will place the air purifier into its quietest fan speed and onboard lights will be dimmed. Control Panel: The easy-to-use touch control panel allows you to quickly control the unit and its settings. Timer: It can be set to turn off after an hour, 4 hours, or 8 hours. Easy Mobility: With built-in handles on both sides, this purifier can be easily transported from room to room. Durable Protection: Filters are protected and their lifespans extended with durable, plastic protective covers. Fan Security: An air outlet cover located on top of the unit ensures that the fan remains damage free. Long Warranty: The motor and electric parts are covered by a long, 5-year limited warranty. 13.6" x 13.6" x 21.2"